If you’re on social media, you’ve likely seen a few stories that link bitter tastes to dark tendencies: “Coffee-lover? According to science, you’re probably a psychopath!” Like most click-bait stories, it’s pretty flimsy journalism. There’s a slight correlation between a taster for bitter foods and certain traits — narcissism, Machiavellianism and psychopathy. But reading all those stories that throw shade on Gin & Tonic fans, I couldn’t help think about how, if liking tonic is suspicious behaviour, Fernet fans should probably be put under 24-hour surveillance. Fernet, the bitter digestivo from Italy, is a divisive spirit — especially since nearly everybody in North America is introduced to this sub-category of amaro with Fernet-Branca, a Milanese product that’s known for its intense vegetal flavour, sharp eucalyptus notes and practically medicinal-level bitterness. There are other Fernets, almost all made in Italy and many of which are more subtle, but Branca has enjoyed the most success abroad by far. Case in point: Argentina. Italian immigrants in that country imported so much of it that the company decided it might as well just build the country its own distillery. In Buenos Aires, Fernet is pretty much always served with Coke. In North America, it’s more likely to be served neat, for those who enjoy the full assault on the palate. 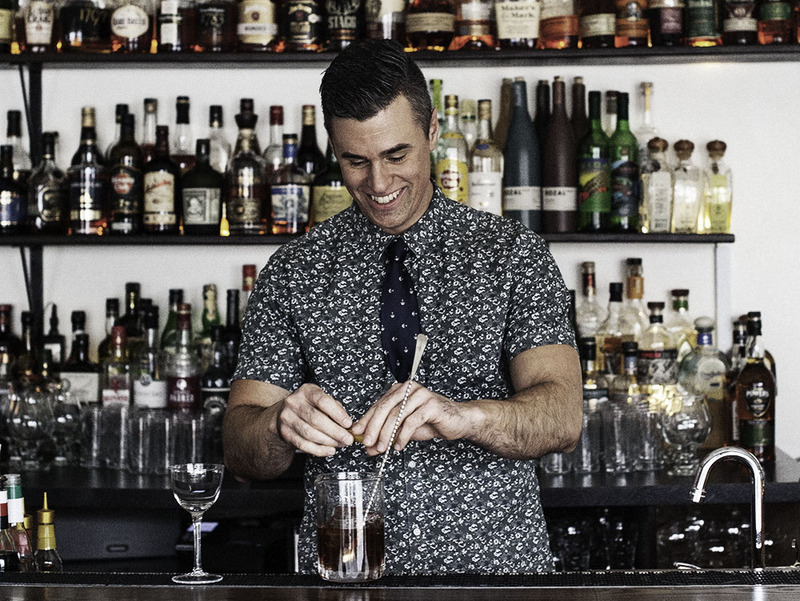 But, according to Cooper Tardivel, a Halifax drinks consultant and a bartender at Bar Kismet, it’s possible to find a middle ground for Fernet drinks between these two extremes. Tardivel says you can use Fernet in whisky cocktails like the Sazerac and Old Fashioned; in tiki drinks since it pairs well with falernum and orgeat; and even daiquiris — provided it’s just a few drops. As another example of Fernet’s use as an accent, he points to the Hanky Panky, a classic 1920s-era cocktail in which equal parts of gin and sweet vermouth are livened up with a few drops of the bitter bomb. Which, he points out, is a perfectly excellent way to drink Fernet, especially if you love bitter drinks. Of course, that probably means you’re a psychopath. Or at least a little bit of a narcissist. For those who want to try more than a dash, Tardivel shared this amazing recipe to help us find a good, middle ground use for the fabulous Fernet. Stir all ingredients over ice in mixing glass. Strain into chilled coupe. No garnish.